He is editor-in-chief of Sojourners magazine and website which has a combined print and electronic media readership of more than a quarter million people with several million unique visitors to the website, sojo.net, each year. Wallis is a bestselling author, public theologian, national preacher, social activist, and international commentator on ethics and public life. His latest book is "America's Original Sin: Racism, White Privilege, and the Bridge to a New America." Wallis has written 10 previous books, including "The (Un)Common Good" and the New York Times bestseller "God’s Politics" and "The Great Awakening." He is a frequent speaker in the United States and abroad, has written for major newspapers, does regular columns for Huffington Post and TIME.com, and appears frequently on ABC, CNN, MSNBC, Fox News, and NPR; on shows from Jon Stewart’s Daily Show to the O’Reilly Factor and Sunday shows like This Week and Meet the Press. Wallis also teaches at Georgetown University and has taught at Harvard University. He served on President Obama’s first White House Advisory Council on Faith-based and Neighborhood Partnerships and as the chair of the Global Agenda Council on Values of the World Economic Forum. 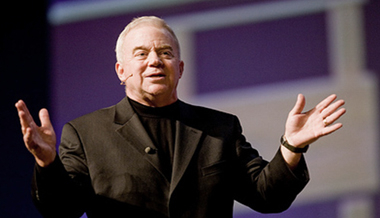 Jim Wallis on America's original sin.